I used to do long exposure night photography in college, armed with a borrowed tripod and my trusty Minolta SLR. It’s been more than a year since I was blessed with the opportunity to own a DSLR of my own, but I only got around to shooting nightscapes again recently. A big shoutout is due to Raymond Cruz, Mike Mijares, Dave Villaruel and Jaime Alberto, who were with me during the shoot. This was, literally, my only shot of the night. It was raining like crazy and we only had a short window of time before it started drizzling again. 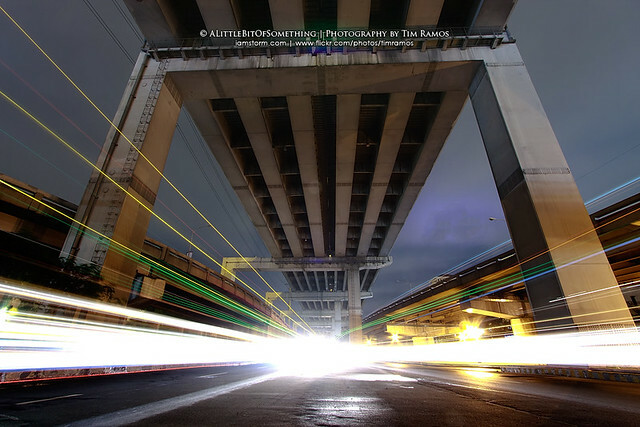 There were also some annoying security guards who accosted us at the Magallanes flyover – where this was taken. Apparently, it’s prohibited to take photographs in the area, but not for vagrants to spend the night there (which is potentially dangerous for themselves and others, but nevermind them, right? *end of rant*). 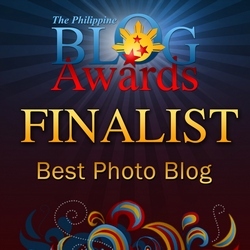 In other news, I’m one of the finalists for the photoblog category of the Philippine Blog Awards! I’m not really expecting to win, but I still consider this a great honor to be included in the list. Thank you, thank you, Lord.